The People’s Bank of China issued a new statement today in which it laid out in writing the warning it issued to nine domestic startups in a meeting yesterday. The post, issued via the central bank’s website, confirmed rumors that circulated yesterday suggesting that the new meetings were broader than ones held earlier in the month, including a number of lesser-known bitcoin and cryptocurrency exchanges. 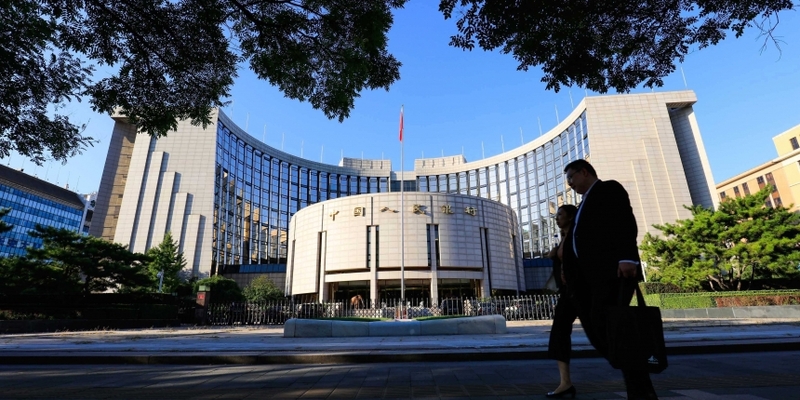 Perhaps most notably, the PBOC indicated it has issued specific directives to the businesses, reiterating that the platforms must enforce anti-money laundering (AML) and foreign exchange regulations. BTC Trade, Yunbi, HaoBTC, CHBTC, BTC100, BitBays, Yuanbao, Dahonghuo and Jubi were among the bitcoin exchange platforms in attendance, according to the statement. The announcement comes weeks after the PBOC first met with China’s ‘Big Three’ bitcoin exchanges, BTCC, Huobi and OKCoin, earlier in the month, in which it issued similar guidance. Soon after, all three exchanges moved to enact trading fees. In statements, sources familiar with the meeting said exchanges have all largely agreed to limit margin trading and zero-fee trading in response to pressures from the central bank. 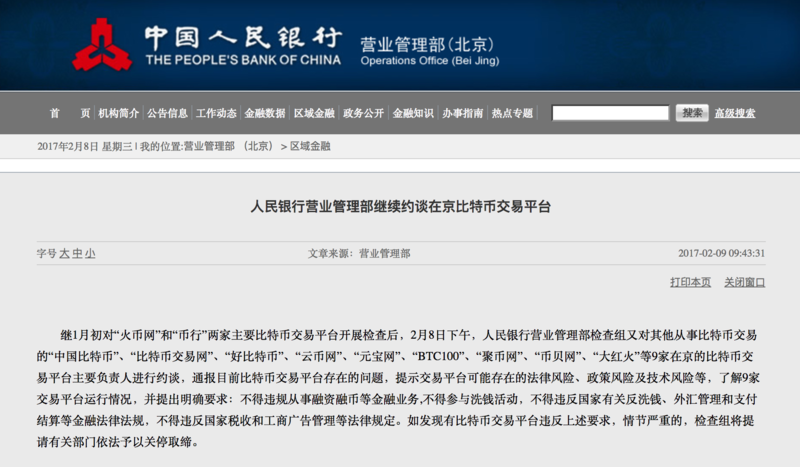 Others have hinted that the PBOC may have other motives for the announcement. “Somehow, they perceive the high price and the rising price as a threat,” said one exchange executive speaking under condition of anonymity. At least one exchange, BTC Trade, has issued a statement on its website today indicating that it would now impose similar fees as its competitors. At press time, the price of bitcoin was unchanged on the news, sitting roughly $100 below its 2017 high set in January.